I didn't have access to internet yesterday thus I am posting my article today. Thus I am at the point of reaching day number one hundred. 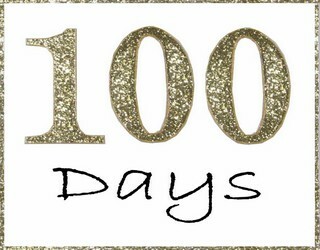 I have written one article every day for 100 days. I had couple of difficult days when I was extremely tired due to long hours at work and I was not able to write any long article. And all that I did, was posting online short message about it. But although this short message was short, it was a big challenge in itself. Apart from this I had few days when I had no access to internet but on those days I wrote an article as normal, I prepared .html file for posting online on my website and I posted it the next day as soon. In the very beginning I had some doubts and questions about it e.g. how it is going to be when I am really busy one day ? If I know that the next day I will be extremely busy and I will have no time to write an article, should I then write the article the day before ? But then I realized that if I did so, then I would miss the whole point about the commitment. I have committed myself to my process for 7 years and thus I must reorganize my whole life in such a way that I do all my daily responsibilities and also find time every day to write the article. And so I continued day by day writing 1 article each day and I still have 6 years and 265 days to go. Now... there was also another realization that stemmed out of the precious one. If we want to make a change in the world then we have to also dedicate some time every day towards making this change real. At that moment we are dedicating 24 hours a day towards the world that we live in now with capitalistic system, pollution, starvation, prostitution, abuse, mafia, greed, ego etc. Thus if we want to have change we have to stop creating all that we have now and dedicate time to create the new world ( the best would be if we create the world in which we live the principle of what is best for all ) and once we have more and more people doing the same then the whole world will start to change. And the world will not change by some miracle performed by god or any other divine being - it will be changed by us, the people. All cannot be changed in 1 day but the more people start to dedicate time every day towards making the change and living the principle of what is best for all, the sooner the change will be the reality. Technically speaking the change could be done relatively quickly ( few years ) but because majority of people are still asleep, resist it and doubt it then we will have to go through this process of change a little bit longer which also signifies that there will be more suffering in the world.